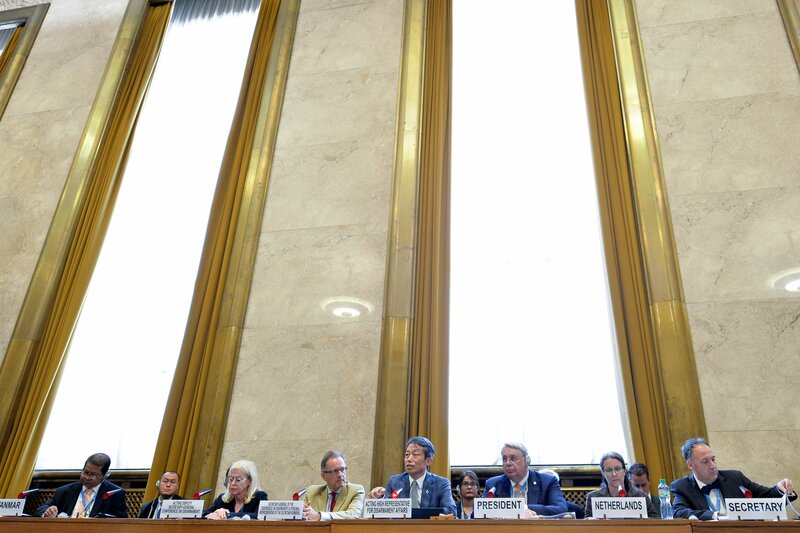 An expert group tasked by the United Nations with laying the groundwork for the negotiation of a fissile material cutoff treaty (FMCT) completed its work June 8 with consensus recommendations that could be taken forward by a new subgroup of the Conference on Disarmament (CD). “With this report, which has been aptly described as ‘two inches from a negotiating text’, the range of possible treaty provisions is further distilled in a manner that makes clear there is little more to be done on an FMCT other than to negotiate it,” Canadian Ambassador Heidi Hulan, who chaired the high-level preparatory group, told Arms Control Today in a June 18 email. 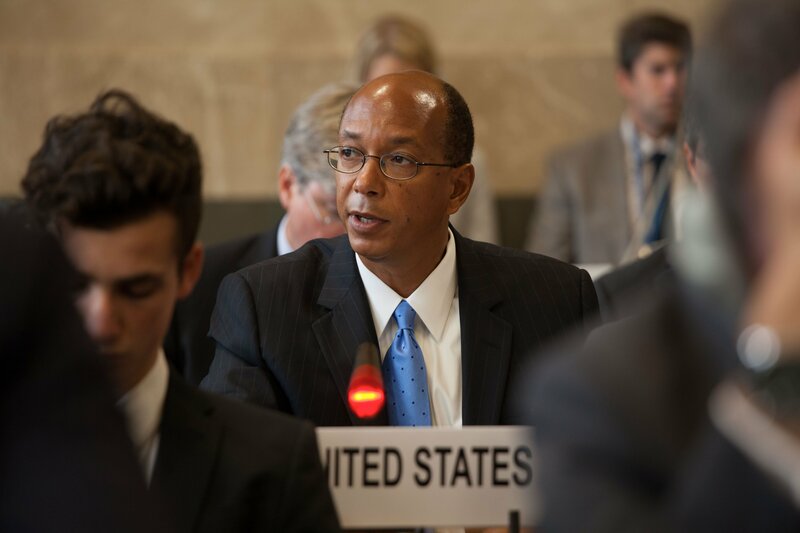 The FMCT preparatory group, mandated by a 2016 UN General Assembly resolution, was made up of representatives from 25 states who met for two weeks in 2017 and 2018. It followed on from the meetings of a group of governmental experts, convened in 2014 and 2015, on the same subject. The UN General Assembly in 1993 approved the negotiation of an FMCT in the CD, but the consensus-based CD has failed to start negotiations due to a few states’ objections. A UN high-level conference on nuclear disarmament, originally scheduled for May 14-16, was indefinitely postponed following an April 26 UN General Assembly vote. The postponement reportedly is due to the failure to select a representative to preside over the meetings. Over the past five years, the international community has devoted attention to the humanitarian, environmental, and developmental consequences of nuclear weapons detonations. The inclusion of this language in the 2010 document was perhaps not particularly significant in itself, as it stated the obvious. Rather, its significance lay in the initiative it licensed. Arguing that the humanitarian dimension required increased attention, the Norwegian government invited all interested states and organizations to a conference on the humanitarian impact of nuclear weapons in Oslo in March 2013. The next year, the Mexican and Austrian governments organized follow-up conferences in Nayarit and Vienna, respectively. Attracting more government delegations than the NPT Preparatory Committee meetings in 2013 and 2014, the series of humanitarian impact conferences appears to have supplied a meeting format that was in demand. At the conclusion of the third and hitherto last of these conferences, the Austrian hosts submitted a document calling on states and other stakeholders to “fill the legal gap for the prohibition and elimination of nuclear weapons.”2 A few months later, the Austrian government announced that this “Austrian Pledge” would be called the “Humanitarian Pledge,” thus implying a broader ownership of the document. More than 120 states have now formally endorsed it. The primary objective of the UN Charter is to “save succeeding generations from the scourge of war.” The charter forbids the use of military force against states in general, but makes exceptions for self-defense and for use of force authorized by the Security Council. These rules in the charter apply equally to all use of force against states, irrespective of weapon type. No restrictions are imposed on nuclear weapons as such. 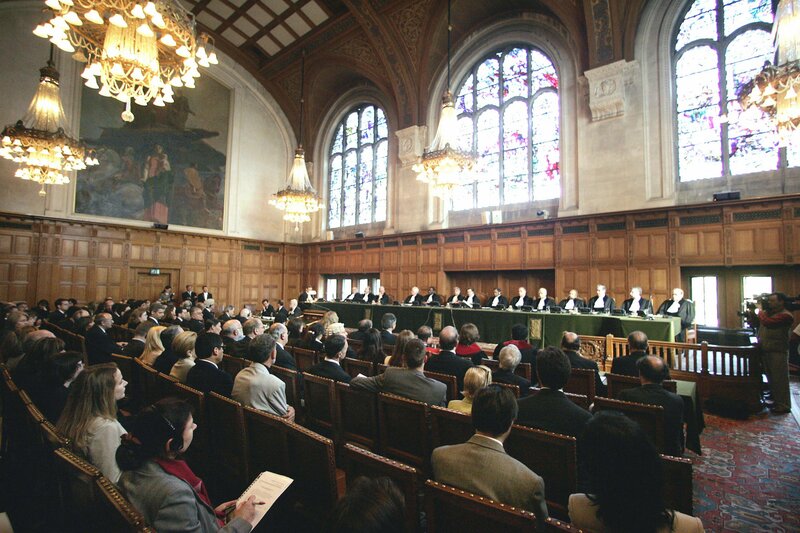 In an advisory opinion in 1996, the International Court of Justice (ICJ) responded to the question of whether the use of nuclear weapons could be permitted under international law. The court did not succeed in giving a clear answer, but concluded that it could not rule out the lawfulness of the use of a nuclear weapon in “extreme circumstances of self defence.”6 Because every armed conflict is likely to be perceived by states as an “extreme” circumstance of self-defense, it was unclear whether the court implied that the rules governing the justification for the use of armed force in the UN Charter (jus ad bellum) might set aside the rules governing the actual conduct of hostilities (jus in bello). It seems clear that if one makes the applicability of the rules governing the conduct of warfare (international humanitarian law) dependent on whether the use of force in itself is perceived as legitimate, then the former rules will seldom be seen as applicable because states commonly perceive the enemy’s use of force as unjustified. These two regimes are therefore, as a matter of law, distinct, applying independently of each other. Regulating the conduct of war, international humanitarian law, sometimes called the laws of war or the laws of armed conflict, is arguably the most important legal regime when considering the legality of the use of nuclear weapons. The key instrument is the 1977 Additional Protocol I to the 1949 Geneva Conventions, in addition to international customary law. Several rules laid down here are of particular importance. The first is the rule of distinction. 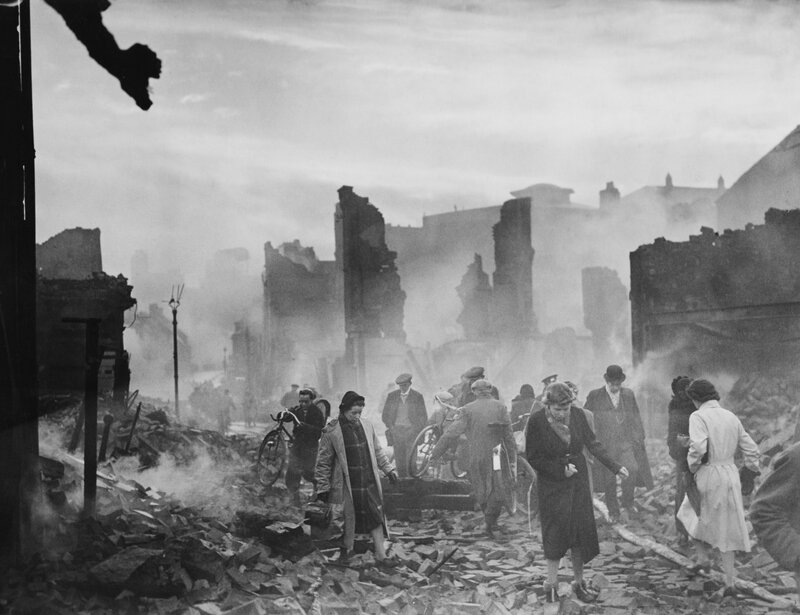 According to this rule, parties to a conflict may not “employ a method or means of combat the effects of which cannot be limited as required by this Protocol; and consequently, in each such case, are of a nature to strike military objectives and civilians or civilian objects without distinction.”7 The terror bombings of Coventry, Dresden, and Tokyo during World War II would not be permissible under this provision. The nuclear bombings of Hiroshima and Nagasaki would equally be ruled out. Several weapons have been explicitly prohibited, in part or in whole, because they have been deemed impossible or difficult to use without violating the rule of distinction. This is the case with biological weapons and chemical weapons, as well as anti-personnel landmines and cluster munitions. Nuclear weapons, however, are not subject to corresponding prohibitions. Accordingly, their use is generally governed by the rules of international humanitarian law. 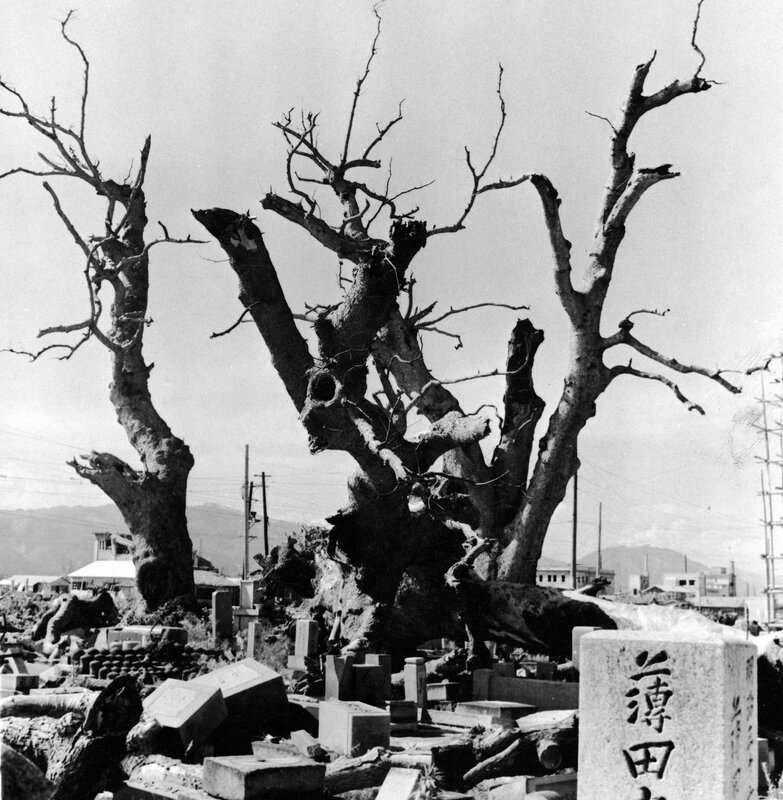 The rules described in the preceding paragraphs make clear that international humanitarian law would prohibit the use of nuclear weapons in almost all conceivable scenarios. For example, a tactical nuclear strike against a submarine far out at sea may not be a violation of the rule on distinction, but it could be a violation of the prohibition against superfluous suffering. Short of a specific ban on nuclear weapons, however, it is possible to argue that their use could potentially be lawful. It is theoretically possible to argue that nuclear strikes can be justified as long as the damage to civilians is not excessive in relation to the concrete, direct military advantage anticipated and there is no available alternative weapon that is less destructive. Contributing to a nuclear weapon-free world is a prominent aspiration of the treaties establishing nuclear-weapon-free zones.17 Covering large geographical areas and a large number of states, such zones represent an often underestimated legal and political dynamic with regard to protecting individuals and the environment against nuclear weapons. At present, more than 100 countries worldwide, covering more than 50 percent of the Earth’s surface, are parties to these treaties. In the southern hemisphere, 99 percent of the land area is part of such a zone. These zones may be separated into three main categories: geographical zones covering uninhabited territory or areas, such as the moon or the seabed; regional zones, consisting of clusters of states or entire continents, including Latin America and the Caribbean, Africa, and subregions of Asia; and single, self-declared, nuclear-weapon-free countries. The treaty regimes on these zones generally prohibit production, receipt, storage, testing, or use of nuclear weapons, and several also contain a prohibition on dumping radioactive matter at sea or elsewhere. The zones’ potential for defusing the risk of regional nuclear arms races and decreasing the risk of nuclear weapons falling into the hands of nonstate actors is an important factor in international efforts to protect individuals and the environment from nuclear weapons. This can no longer be said to be the case. In its 1996 advisory opinion, the ICJ concluded that there exists “an obligation to pursue in good faith and bring to a conclusion negotiations leading to nuclear disarmament.”21 An obligation to disarm, however, does not constitute a prohibition. Thus, although not uncontroversial, the statement of UK Prime Minister Tony Blair that the NPT “makes it absolutely clear” that the UK “has the right to possess nuclear weapons”22 is legally accurate. Comparing the NPT with the regimes on biological and chemical weapons, the most striking difference is that although the latter two contain categorical prohibitions against possession and use,23 the former does not. Given the horrific humanitarian consequences of nuclear weapons detonations, this may reasonably be called a legal gap. A polarized debate over nuclear weapons and their legality has taken place over the past decades. Some states have asserted that international law permits the use of nuclear weapons, whereas others hold that their use constitutes a violation of international law. This debate gathered momentum with the UN General Assembly’s request for an advisory opinion by the ICJ in 1994 and the subsequent court hearings and 1996 publication of the opinion. Because the ICJ did not resolve the issue, the frontlines remained where they were, but now with the added element of each side taking the advisory opinion as evidence that it was right. This stalemate over the legal issues might have contributed to neutralizing the public debate rather than provoking public action to pressure governments for greater efforts to diminish the risk posed by nuclear weapons. International law clearly places very heavy restrictions on nuclear weapons use. Nevertheless, there is no unequivocal and explicit rule under international law against either use or possession of such weapons. Although the two other categories of nonconventional weapons are explicitly prohibited because their use would conflict with the requirements of international humanitarian law, the use, production, transfer, and possession of nuclear weapons are not explicitly prohibited. This may reasonably be labeled a legal gap. The reference to this legal gap in the Humanitarian Pledge does not make it clear whether a prohibition should be separated from the process of physical elimination and, if so, which to pursue first. The question of sequencing is significant. Should prohibition precede elimination? Should elimination come first when conditions allow, with prohibition then following? Could they be pursued simultaneously, in the form of a treaty that would resemble the Chemical Weapons Convention? Should the prohibition form part of a negotiated structure of legal instruments—a formal framework that could set out an agreed sequence or foreshadow the need to agree on a sequence at the outset of the initial negotiations? 1. 2010 Review Conference of the Parties to the Treaty on the Non-Proliferation of Nuclear Weapons, “Final Document, Volume I, Part I,” NPT/Conf.2010/50 (Vol. I), 2010, para. I(A)(v). 2. “Pledge Presented at the Vienna Conference on the Humanitarian Impact of Nuclear Weapons by Austrian Deputy Foreign Minister Michael Linhart,” n.d., http://www.bmeia.gv.at/en/european-foreign-policy/disarmament/weapons-of-mass-destruction/nuclear-weapons-and-nuclear-terrorism/vienna-conference-on-the-humanitarian-impact-of-nuclear-weapons/chairs-summary/. 3. See Frank A. Rose, opening statement to the 2015 UN General Assembly First Committee, October 12, 2015, http://reachingcriticalwill.org/images/documents/Disarmament-fora/1com/1com15/statements/12October_USA.pdf. 4. John Burroughs and Peter Weiss, “Legal Gap or Compliance Gap?” Arms Control Today, October 2015. 5. For a more detailed treatment of the legal issues addressed in this article, see Gro Nystuen, Stuart Casey-Maslen, and Annie Golden Bersagel, eds., Nuclear Weapons Under International Law (Cambridge: Cambridge University Press, 2014). 6. International Court of Justice, “Legality of the Threat or Use of Nuclear Weapons,” July 8, 1996, para. 105(2)(E), http://www.icj-cij.org/docket/files/95/7495.pdf. 7. International Committee of the Red Cross (ICRC), “Protocol Additional to the Geneva Conventions of 12 August 1949, and relating to the Protection of Victims of International Armed Conflicts (Protocol I), 8 June 1977; Protection of the Civilian Population,” n.d., art. 51(4)(c), https://www.icrc.org/applic/ihl/ihl.nsf/Article.xsp?action=openDocument&documentId=4BEBD9920AE0AEAEC12563CD0051DC9E. 9. Stephen M. Schwebel, dissenting opinion in “Legality of the Threat or Use of Nuclear Weapons,” July 8, 1996, p. 98, http://www.icj-cij.org/docket/files/95/7515.pdf. 10. ICRC, “Protocol Additional to the Geneva Conventions of 12 August 1949, and relating to the Protection of Victims of International Armed Conflicts (Protocol I), 8 June 1977; Precautions in Attack,” n.d., art. 57(1), https://www.icrc.org/applic/ihl/ihl.nsf/Article.xsp?action=openDocument&documentId=50FB5579FB098FAAC12563CD0051DD7C. 12. ICRC, “Protocol Additional to the Geneva Conventions of 12 August 1949, and relating to the Protection of Victims of International Armed Conflicts (Protocol I), 8 June 1977; Commentary of 1987, Precautions in Attack,” n.d., para. 2201, https://www.icrc.org/applic/ihl/ihl.nsf/Comment.xsp?action=openDocument&documentId=D80D14D84BF36B92C12563CD00434FBD. 13. 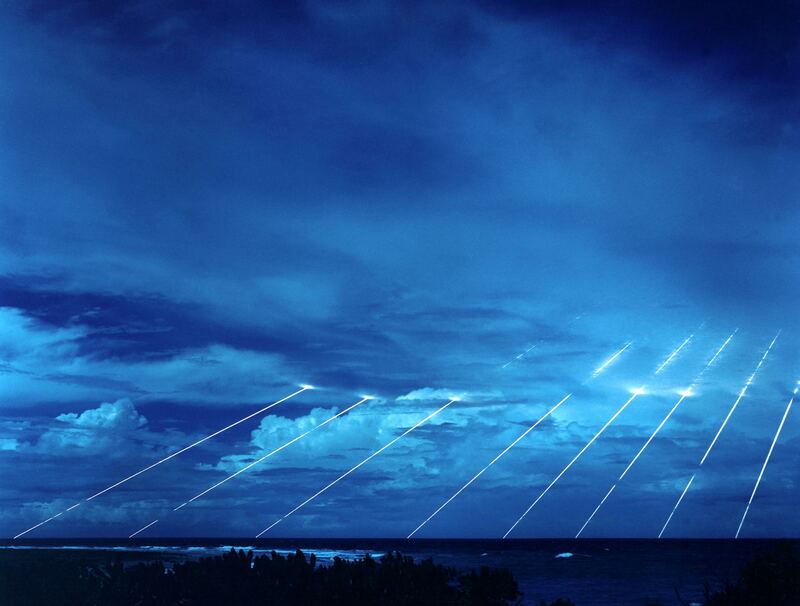 Nystuen, Casey-Maslen, and Golden, Nuclear Weapons Under International Law. 14. See ICRC, “Protocol Additional to the Geneva Conventions of 12 August 1949, and relating to the Protection of Victims of International Armed Conflicts (Protocol I), 8 June 1977; Basic Rules,” n.d., art. 35(3), https://www.icrc.org/applic/ihl/ihl.nsf/Article.xsp?action=openDocument&documentId=0DF4B935977689E8C12563CD0051DAE4; J.M. Henckaerts, “Study on Customary International Humanitarian Law: A Contribution to the Understanding and Respect for the Rule of Law in Armed Conflict,” International Review of the Red Cross, Vol. 87, No. 857 (2005): 191. 15. Of the nuclear-armed states, China, North Korea, and Russia are parties to Additional Protocol I without reservations regarding its application to nuclear weapons. France and the United Kingdom are parties but with reservations on its application to nuclear weapons. The rest of the nuclear-armed states—India, Israel, Pakistan, and the United States—are not parties. 16. 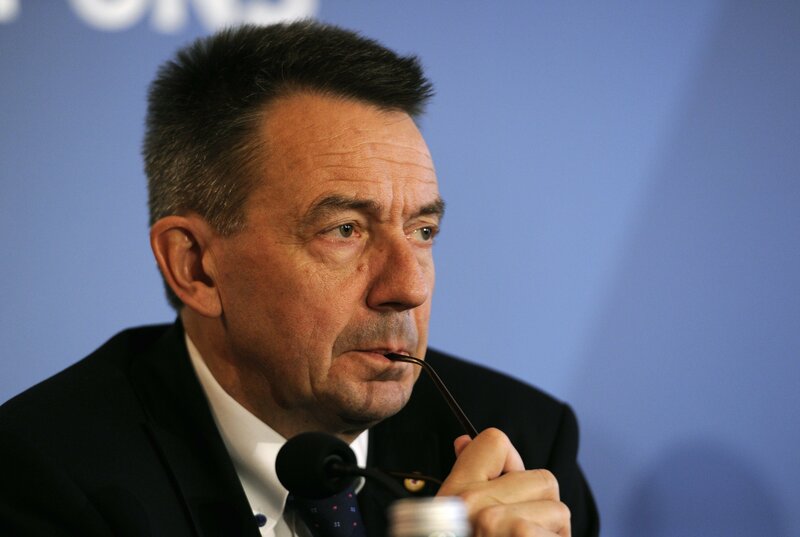 ICRC, “Nuclear Weapons: Ending a Threat to Humanity,” February 18, 2015, https://www.icrc.org/en/document/nuclear-weapons-ending-threat-humanity (speech by Peter Maurer). 17. Such zones are foreseen in Article VII of the nuclear Nonproliferation Treaty (NPT). 18. For example, Etel Solingen, Nuclear Logics: Contrasting Paths in East Asia and the Middle East (Princeton, NJ: Princeton University Press, 2007). 19. Charles Flanagan, Statement of Ireland to the 2015 NPT Review Conference, April 27, 2015, http://reachingcriticalwill.org/images/documents/Disarmament-fora/npt/revcon2015/statements/27April_Ireland.pdf. 20. Michael Rühle, “Enlightenment in the Second Nuclear Age,” International Affairs, Vol. 83, No. 3 (May 2007): 511-522. 21. Nystuen, Casey-Maslen, and Golden, Nuclear Weapons Under International Law. 22. Nick Ritchie, “Trident: The Deal Isn’t Done,” Bradford Disarmament Research Centre, December 2007, p. 11, note 38, http://www.brad.ac.uk/acad/bdrc/nuclear/trident/trident_deal_isnt_done.pdf. 23. The text of the Biological Weapons Convention does not explicitly mention use of biological weapons, but the states-parties have agreed that the treaty shall be interpreted to include a prohibition on use. See Seventh Review Conference of the States Parties to the Convention on the Prohibition of the Development, Production and Stockpiling of Bacteriological (Biological) and Toxin Weapons and on Their Destruction, “Final Document of the Seventh Review Conference,” BWC/CONF.VII/7, January 13, 2012, art. IV(16) (states-parties reaffirming that “under any circumstances the use, development, production and stockpiling of bacteriological (biological) and toxin weapons is effectively prohibited under Article I of the Convention”). 24. See Gaukhar Mukhatzhanova, “Implementation of the Conclusions and Recommendations for Follow-on Actions Adopted at the 2010 NPT Review Conference Disarmament: Actions 1-22,” James Martin Center for Nonproliferation Studies, April 2015, p. 2, https://www.nonproliferation.org/wp-content/uploads/2015/04/150415_cns_monitoring_report.pdf; Jayantha Dhanapala and Sergio Duarte, “Is There a Future for the NPT?” Arms Control Today, July/August 2015; Reaching Critical Will, “The NPT Action Plan Monitoring Report,” March 2015, http://www.reachingcriticalwill.org/images/documents/Publications/2010-Action-Plan/NPT_Action_Plan_2015.pdf. 25. Juan Manuel Gomez Robledo, Statement of Mexico to the 2015 NPT Review Conference, April 27, 2015, http://reachingcriticalwill.org/images/documents/Disarmament-fora/npt/revcon2015/statements/27April_Mexico.pdf. 26. Nozipho Mxakato-Diseko, Statement of South Africa to the 2015 NPT Review Conference, April 29, 2015, http://reachingcriticalwill.org/images/documents/Disarmament-fora/npt/revcon2015/statements/29April_SouthAfrica.pdf. 27. See David A. Koplow, “Bonehead Non-Proliferation,” The Fletcher Forum of World Affairs, Vol. 17, No. 2 (1993): 150. 28. See Shervin Taheran, “Kerry, Moniz Urge Review of CTBT,” Arms Control Today, November 2015. 29. For more on these approaches, see International Law and Policy Institute and UN Institute for Disarmament Research, “A Prohibition on Nuclear Weapons: A Guide to the Issues,” February 2016, http://unidir.ilpi.org/wp-content/uploads/2016/02/ILPI-UNIDIR-prohibition-study-PRINT.pdf. 30. See UN General Assembly, A/RES/70/33, December 11, 2015. Gro Nystuen is director of the Center for International Humanitarian Law at the International Law and Policy Institute in Oslo. Kjølv Egeland is an adviser at the center and a doctoral candidate in international relations at the University of Oxford, Wadham College. UN member states are considering two competing proposals to advance nuclear disarmament, a reflection of the continuing differences among states on how to accelerate progress toward a world without nuclear weapons. Each of the two proposals under discussion in the UN General Assembly First Committee, which deals with nuclear disarmament, would create an open-ended working group, a forum in which all UN members can participate. The creation of a working group was a recommendation in the draft final document from the nuclear Nonproliferation Treaty (NPT) review conference that took place earlier this year. (See ACT, June 2015.) The proposal for the working group grew out of the frustration of many states with the lack of progress on nuclear disarmament. One working group proposal in the First Committee, submitted by Iran, closely resembles the language contained in the draft review conference document. It calls for a discussion on advancing nuclear disarmament and would operate on the basis of consensus. The working group would meet for four sessions of 10 working days each, with two sessions in 2016 and two in 2017. The group would send a report on its work, including agreed recommendations, to the UN General Assembly during the 2017 session. Mexico, on behalf of a group of countries associated with the so-called humanitarian initiative, an effort focused on raising awareness of the humanitarian and societal impacts of nuclear weapons use, has offered an alternate proposal. A key difference with the Iranian approach is that under the Mexican resolution, the working group would operate according to the General Assembly’s normal rules of conducting business on the basis of a majority vote. The group would convene in Geneva in 2016 for up to 15 days and would present a report on its work to the General Assembly at its session next year. The original version of the Mexican proposal also differed from the Iranian approach by specifying the end result of the working group’s effort: “to negotiate with a view to reaching agreement on concrete effective legal measures…that will need to be concluded to attain and maintain a world without nuclear weapons.” But an Oct. 29 version of the Mexican proposal is closer to the Iranian proposal in calling on the group “to substantively address” the legal measures. The contrasting proposals have sparked a contentious debate within the First Committee about the purpose of the working group. Alexander Kmentt, director of disarmament, arms control, and nonproliferation in the Austrian Federal Ministry for European and International Affairs, encouraged states to support the Mexican resolution. In an Oct. 27 statement, he said that a forum is needed to allow all states to engage in discussions on nuclear disarmament “without the procedural setup that stifles progress in other fora of the UN disarmament machinery.” Austria is a co-sponsor of the Mexican resolution. It remains to be seen if both proposals will come to a vote this month and, if so, which proposal will garner the most support. Resolutions in the First Committee require a simple majority to pass. In remarks on Oct. 16 at a conference in Prague, Kim Won-soo, the acting UN high representative for disarmament affairs, said he expects “common ground” to be found on a working group concept that meets the needs of key member states. The current session of the First Committee runs through Nov. 9. As the 65-nation Conference on Disarmament (CD) nears the end of its annual session, the body mandated to negotiate multilateral disarmament treaties remains stalemated. Nevertheless, some member states say they think progress is being made toward a global ban on the production of fissile materials for nuclear weapons. For the third year in a row, an informal working group could not reach consensus on any of the CD’s four core issues: nuclear disarmament, a fissile material cutoff treaty (FMCT), the prevention of an arms race in outer space, and negative security assurances. The CD, which operates on the basis of consensus, has not negotiated a disarmament agreement since the completion of the Comprehensive Test Ban Treaty (CTBT) in 1996. Although some member states praised the efforts of this year’s iteration of the working group, other delegations lamented the recent trend of establishing informal discussion forums. Since the end of negotiations on the CTBT in 1996, Russia, the United States, and many Western countries have sought a mandate at the conference to negotiate an FMCT. But Pakistan continues to oppose the start of FMCT talks unless the negotiating mandate explicitly includes existing stockpiles of materials in addition to new production. Russia, the United States, and others oppose that approach. In 2009 the CD approved a preliminary work plan, but the plan collapsed after Pakistan withdrew its support. Pakistan says that it has a smaller stockpile of fissile materials than India and that a production freeze would put Islamabad at a disadvantage. In an effort to break the FMCT deadlock, the UN General Assembly First Committee, which deals with disarmament, in 2012 approved a resolution by Canada to establish a group of governmental experts to discuss how to advance negotiations on an FMCT. The group, which consisted of 31 experts and diplomats from 25 different countries, met in Geneva over eight weeks during 2014 and 2015 under the auspices of the United Nations. The group submitted its final report to the General Assembly in May. Most CD members applauded the work of the group of experts, with some members characterizing the intergovernmental assessment as a potential turning point on the issue of a fissile material production ban. Pakistan also said another “downside” of the group was that not all nuclear-weapon states “had been represented in that forum” and that it “rejected [the group’s] report and assertion that the report could form the basis for further consideration” of an FMCT in the CD. “Our delegations joined the call of the overwhelming majority of states for more urgency, focus, and new momentum for nuclear disarmament,” Ireland’s representative said after the Nov. 4 vote, also speaking on behalf of Austria, Liechtenstein, Malta, New Zealand, and San Marino. The resolution was approved by a vote of 129-28 with 19 abstentions and, unlike many of the other resolutions on which votes were taken, commits UN member states to future actions. The General Assembly is scheduled to vote on the resolution Dec. 5; the measure is expected to pass by a similar margin. The General Assembly approves resolutions by majority vote, but the CD works by consensus. Therefore, no agreement on nuclear weapons elimination can be reached without the support of the five original nuclear-weapon states. Four of those five—France, Russia, the United Kingdom, and the United States—voted against the resolution. China voted in favor of it, but said that countries with the largest nuclear arsenals should continue to take the lead in reductions. All five states are parties to the nuclear Nonproliferation Treaty (NPT). In a joint statement, France, the UK, and the United States said that “a practical step[-]by[-]step process is the only way to make real progress” on disarmament and that “there are no short cuts.” The states said that they are seeking “early commencement” of negotiations on a fissile material cutoff treaty (FMCT) at the CD and “prompt” entry into force of the Comprehensive Test Ban Treaty (CTBT). India and Pakistan, which have nuclear weapons but are not members of the NPT, voted in favor of the resolution. The other states that voted against the resolution or abstained are members of NATO, such as Germany, which collectively “share” U.S. nuclear weapons, or are “nuclear umbrella” states that have nuclear security agreements with Washington, such as Japan. Many non-nuclear-weapon states argue that the step-by-step process is not working and, according to a European diplomat, is “not very credible.” They point out that the FMCT talks have been stalled in the CD since the late 1990s and the United States has not made progress toward ratification of the CTBT since the Senate voted against ratification in 1999. Noting that the next NPT review conference will take place in 2015, the joint statement by the three nuclear-weapon states said that planning a conference on nuclear disarmament in 2018 “is not consistent with the NPT agenda” and “risks weakening commitment among states to securing a successful outcome” at the review conference. Since 1975, NPT review conferences, held every five years, have often been fraught with discord over the slow pace of disarmament efforts. Three of them—in 1980, 1990, and 2005—failed to agree on a final document, considered by many states and independent observers to be a key measure of the success of the month-long meetings. There is widespread concern that the 2015 conference also may fail to reach consensus on a final document. As they complete their annual debate on disarmament and international security, the member states of the United Nations continue to struggle to agree on where to focus their efforts. The next logical step for many, a global ban on the production of fissile materials for nuclear weapons, has been effectively blocked by Pakistan. Meanwhile, international support is growing to move directly to the elimination of nuclear weapons, which the declared nuclear powers oppose. The five recognized nuclear-weapon states (China, France, Russia, the United Kingdom, and the United States) and their allies continue to support a step-by-step process to nuclear disarmament, with negotiation of a fissile material cutoff treaty (FMCT) next in line. Others, however, such as members of the Non-Aligned Movement (NAM), have lost confidence in the step-by-step approach and seek instead to jump-start negotiations on nuclear weapons elimination. In 1995, Russia, the United States, and many Western states supported opening negotiations on an FMCT, but Pakistan and other NAM members objected. Pakistan expressed concern that a ban on future fissile material production for weapons would lock in an advantage for India, its strategic rival. Pakistan’s position was only hardened by the 2005 U.S.-Indian nuclear deal, which gave New Delhi, but not Islamabad, access to Western nuclear power technology. Neither India nor Pakistan is a party to the nuclear Nonproliferation Treaty. Frustrated by the lack of progress on an FMCT, other states are seeking to build consensus around the elimination of nuclear weapons. As part of this effort, on Sept. 26 the General Assembly held a high-level meeting on nuclear disarmament, intended to promote “collective efforts to move away from the nuclear abyss [that] have remained too modest in ambition and brought only limited success,” as Austrian President Heinz Fischer put it at the meeting. “Nuclear weapons should be stigmatized, banned, and eliminated before they abolish us,” he said. In addition, outside the UN process there will be a second international meeting on the humanitarian consequences of nuclear weapons use in February in Nayarit, Mexico. The first such conference was in Oslo in March. The nuclear-weapon states did not attend the first session and issued a Sept. 26 joint statement regretting that “energy is being directed toward” initiatives such as the high-level meeting and humanitarian consequences campaign instead of the FMCT. The following day, Rick Roth, spokesman for Canadian Foreign Minister John Baird, said Canada would join the U.S. boycott. In his statement, Roth said Iran is “working directly against disarmament goals” and the principles of the CD. A spokesman for the Iranian Mission to the United Nations defended Iran’s presidency of the forum in a May 14 statement. Alireza Miryousefi said that it is Iran’s right under the “established practice and rules of procedure” to chair the CD. Canada boycotted the CD in 2011 for the four weeks that North Korea presided over the forum, saying that Pyongyang’s noncompliance with its disarmament obligations undermined the work of the body. The United States did not join the Canadian boycott.